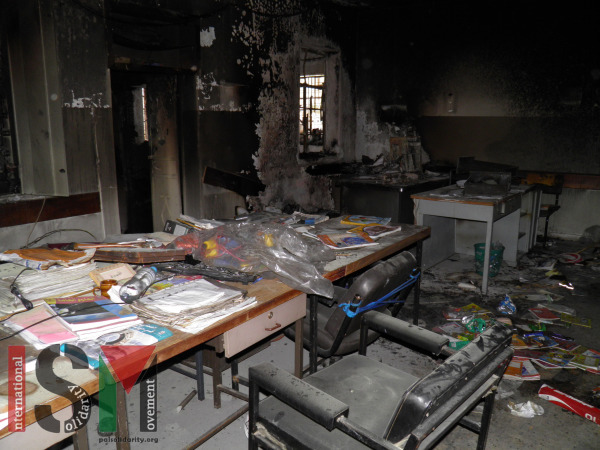 On the evening of the 10th September, unknown assailants broke into the As-Sawia Secondary School, forced open the door and set the school on fire. Bedouins living close to the school saw the fire and alerted the fire brigade. 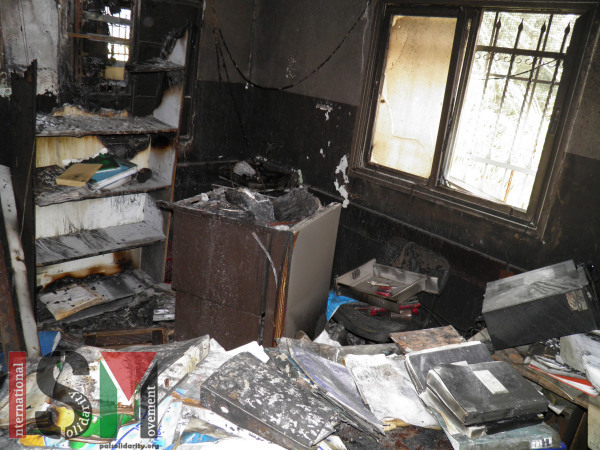 By the time it was put out, the principal’s office and teachers’ rooms were completely burned. 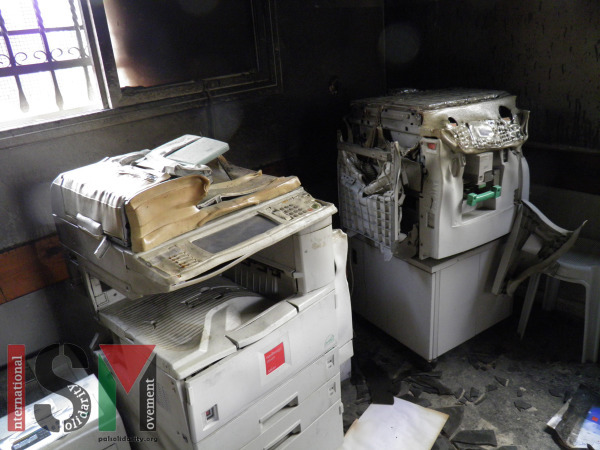 “We lost six computers, four printers, all the teachers’ books and materials, but most of all, the administrative documents and files of the students and about the school situation over the past years. The whole damage is around 140,000 shekels,” the principle Adnan Hussein told ISM. 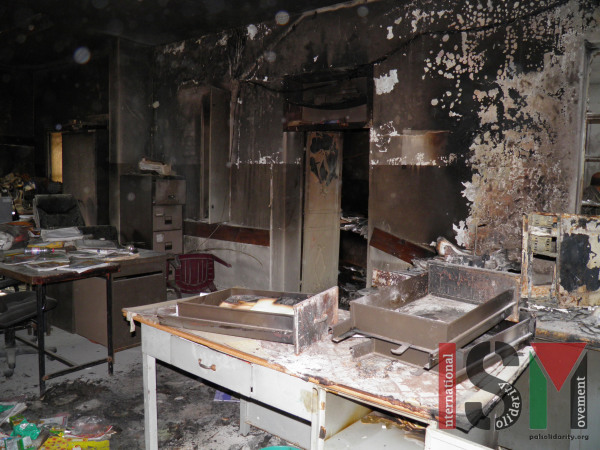 The school was closed for three days after the arson attack. As in many schools in the occupied West Bank, the students and staff of As-Sawia Secondary School suffer from constant settler and military harassment. Three days before the arson, armed settlers who called themselves “security” from one of the nearby hilltop illegal settlements stood at the school gates. When the principal spoke to them, they claimed that children threw stones at the settler cars on their way to school. The school is located by Road 90, which was paved in 1944 and runs across the West Bank. The road is used by Palestinians and by illegal settlers. The children have to walk alongside it to get to school in the mornings and to go home after school. 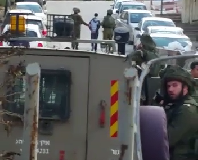 On the 3 September, armed settlers stopped in a car marked as the illegal settlement Eli’s “security” at the gate of the school. One of the settlers came out of the car, jumped over the fence and started following some of the children, who have finished their classes and were leaving for home. 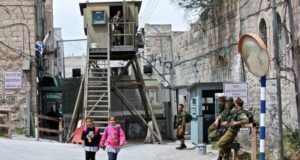 The principle approached the settler and told him that he is not allowed in the school with weapons, and the settler responded that he was looking for a child who threw stones and shouted at the settler car earlier. After agreeing to move outside the school gate at the head teacher’s insistence, the settler with the machine gun was joined by another settler and they insisted that the boy in the red T-shirt was brought to them. They also wanted the head teacher’s mobile phone number so that they could call him in the future. The principal and staff stood between the soldiers and settlers and the pupils to protect them while they were leaving the school. By this time worried parents were at the gate and they took the children away. Throughout 2013, the army entered the As-Sawiya 51 times and children and the staff had to put up with teargas, sound bombs and arrests of pupils.